As you’ll know from my previous eBook reviews, that while I liked the books, I wasn’t too keen on the eBook format. That was because I tried to read them on my Mac because when I read the C&T Publishing website it said “The Kindle, iPhone and other portable digital book readers have not been tested to read our PDFs. We will be offering files soon that are formatted to work on the Kindle, iPhone, Sony and other hand-held devices. Most portable readers will open PDF documents, but usability may be limited due to the limitations of the device itself. ” Consequently I struggled on the computer. However, I recently managed to download them to my iPad and open the pdf in iBooks and it works perfectly. Now I’m happy with this format! The Modern Blocks book is lovely, it really is. 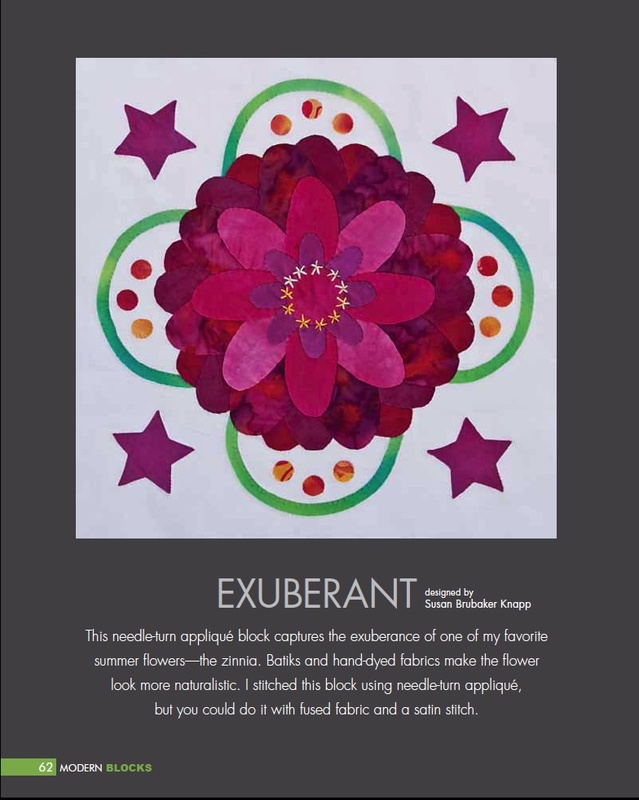 It is compiled by Susanne Woods and contains 99 quilt blocks contributed by various well known designers like Pat Sloan and Susan Brubaker Knapp. And while some of the blocks are traditional blocks with new fabrics like the Cathedral Window variation called Stone Cathedral on page 180 (also top left on the Book Cover), some really are new, modern blocks and most of them look suitable for even beginning patchworkers. The photography is great and the instructions are clear. Here are a three of my favourite blocks from the book. Copyright of all these images belongs to C&T Publishing. 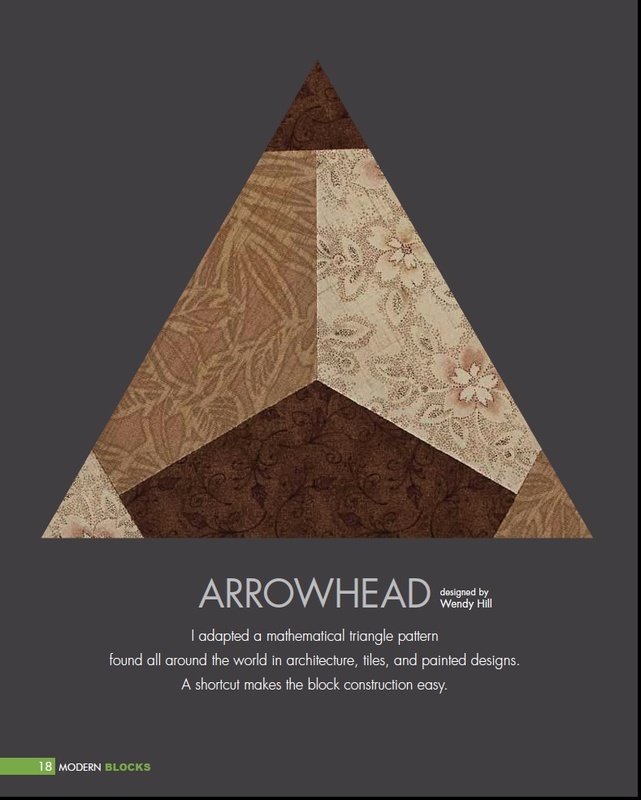 I’m thinking that a quilt made out of the Arrowhead block in Kaffes would be something special. What do you think? There are patterns for templates included at the back of the book and there are both pieced and appliqué blocks. 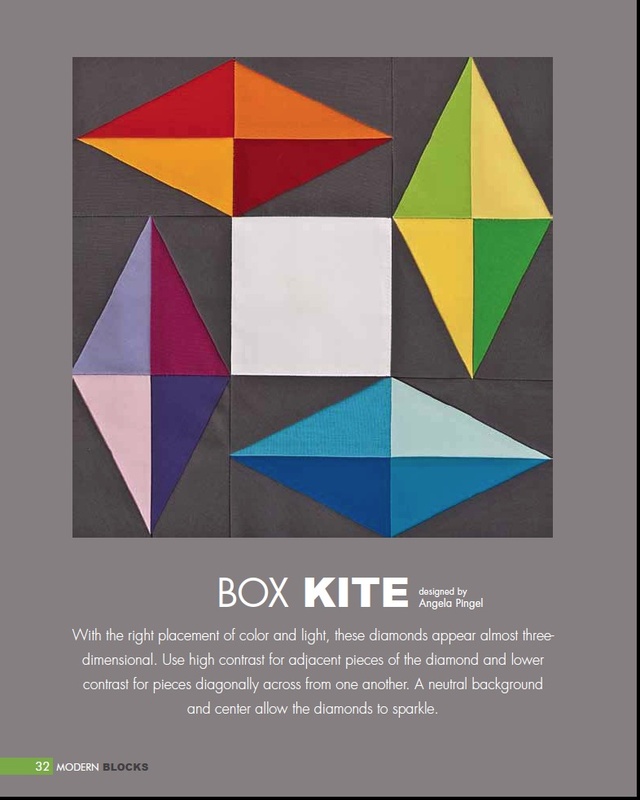 I’m sure my fellow Sydney Modern Quilters would like to get their hands on a copy. Which is something any of you can do here. It costs $24.95 for the soft cover, $19.99 for the eBook or $29.99 for the book and eBook bundle. I think I will be getting this bundle for Christmas from the family. I love the bottom right block on the cover, that might have to be my first block from the book once I get it. Thanks for sharing.